And then the movie began and we forgot about the Mini-Me brigade and focused instead on the mini figures. Or tried to. Between the kaleidoscopic colours, the throbbing soundtrack and the one-hundred-miles an hour plot, I felt like I was at a 90s rave. Or on one of those funfair rides that you’d like to get off halfway round, just for a breather, but which plunge relentlessly onwards, up and down, round and round… you get the picture. We had a great time. The boys LOVED it. They went home and immediately began reconstructing bits of Bricksburg on the sunroom floor (without instructions, in true Master Builder style). I left the cinema blinking … and humming the theme song. Which I’ve been humming ever since. 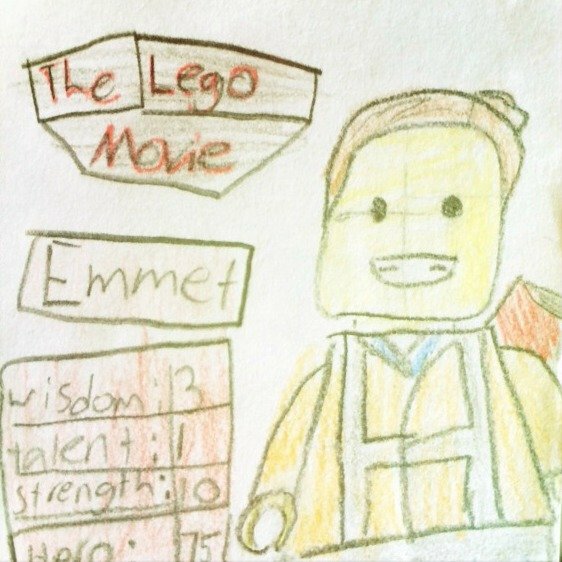 Have you and your kids seen The Lego Movie? What did you think?